There is an efficient and clean two-line metro service in operation in the Brazilian city of Porto Alegre, connecting the downtown region with the airport and bus station that operates long-distance buses. Once you make it through to the downtown area of the city, you will have all of the major tourist attractions close by within a fifteen minutes’ walking radius. The Porto Alegre Metro line operates along a stretch of nearly forty-five kilometers and is accessed by as many as two hundred thousand commuters daily. When inaugurated in 1985, the network stretched for just twenty-seven kilometers between the Sapucaia do Sul and Central Public Market. 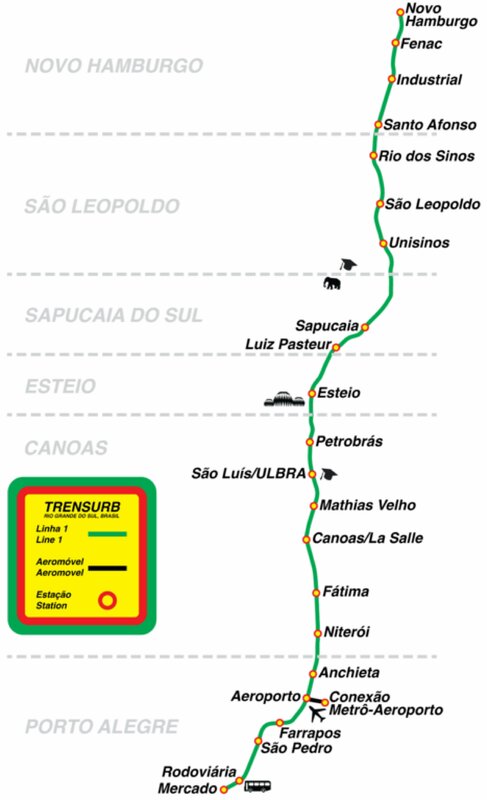 In 1997, the service was extended further up to Unisinos. It was only during the latter days of 2013 that the entire forty-three kilometer stretch was inaugurated for serving the commuters. The System has a daily ridership of 175,000. 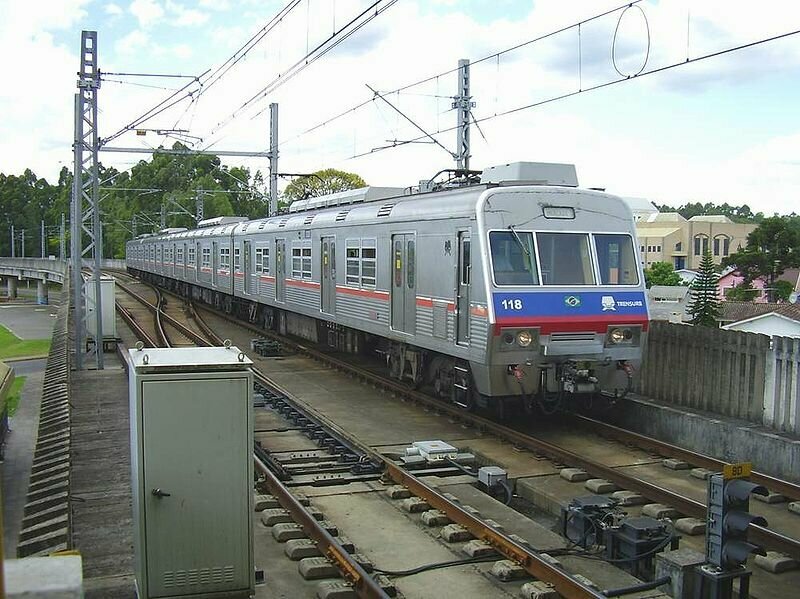 The trains begin operations at 05:00 am in the morning and run till approximately 23:20 pm. The timings differ slightly on Saturdays, Sundays and other holidays. They have a headway of about 10 minutes generally. The fares for the metro start at R$1.70 and go up to R$8.02, depending of the type of ticket and integration also. Map of Porto Alegre Metro showing various lines and stations. Click on the map to enlarge it or Download Porto Alegre Metro Map in PDF.